He is fantastic to deal with and always willing to help out with any questions you may have. He also offers fully built multi-rotors also. 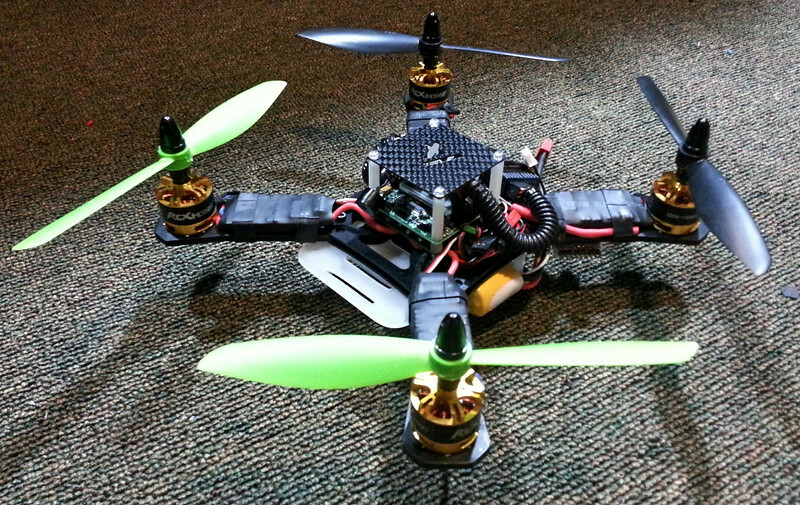 This was my second quadcopter build but I used the same components that Chris has on his previous builds. The build went pretty smooth, most of these parts were used on a previous quadcopter I had built using my own designed and homemade frame. 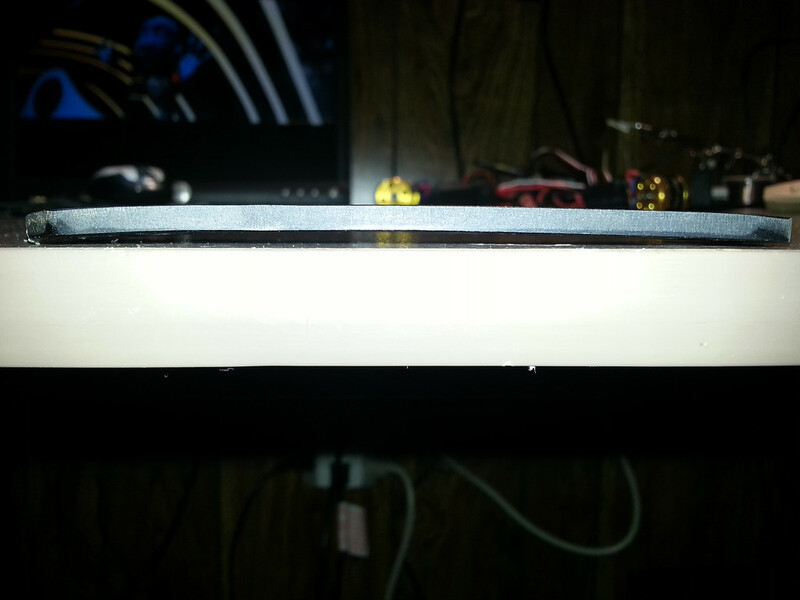 Here is the frame itself, you are looking at the bottom of it. The white piece is an additional part I made out of lexan to provide a place to mount a GoPro camera. 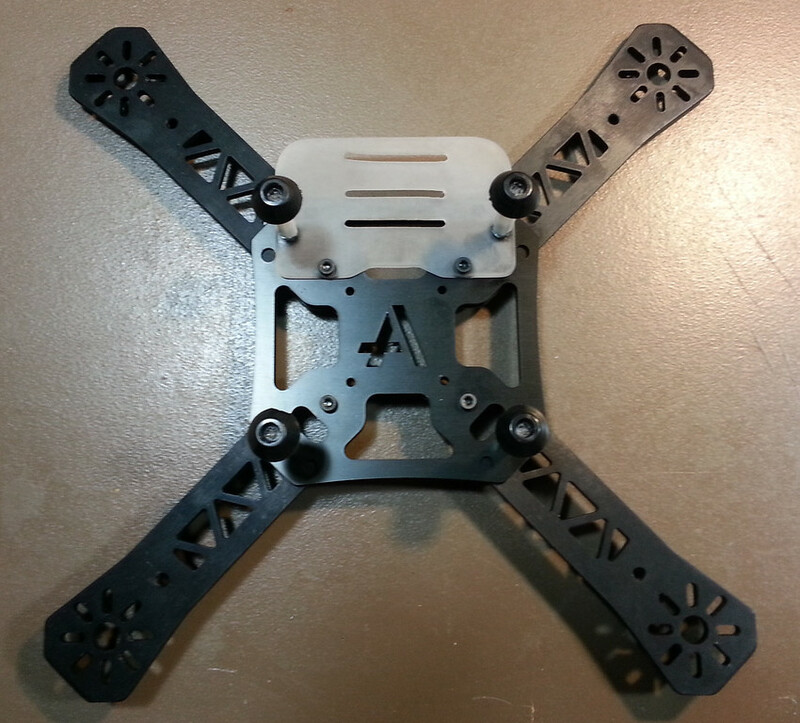 Armattan also sells a nice aluminum plate for this that sits the GoPro down lower, which I will be using later on. 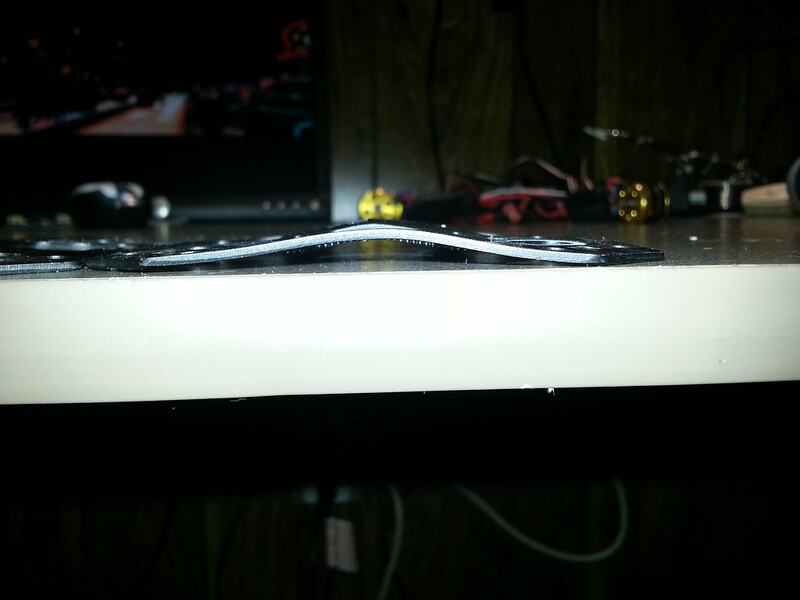 Here is a view of the bottom of the quadcopter after it was fully built. Here is a view of the top. 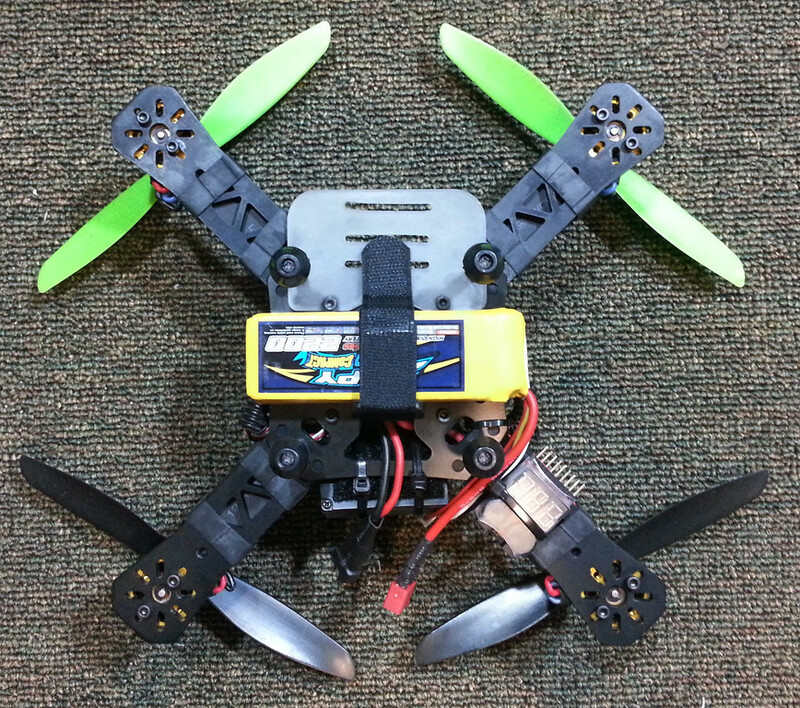 I mounted my ESCs on top of the arms, this is a personal preference, some mount them under the arms. 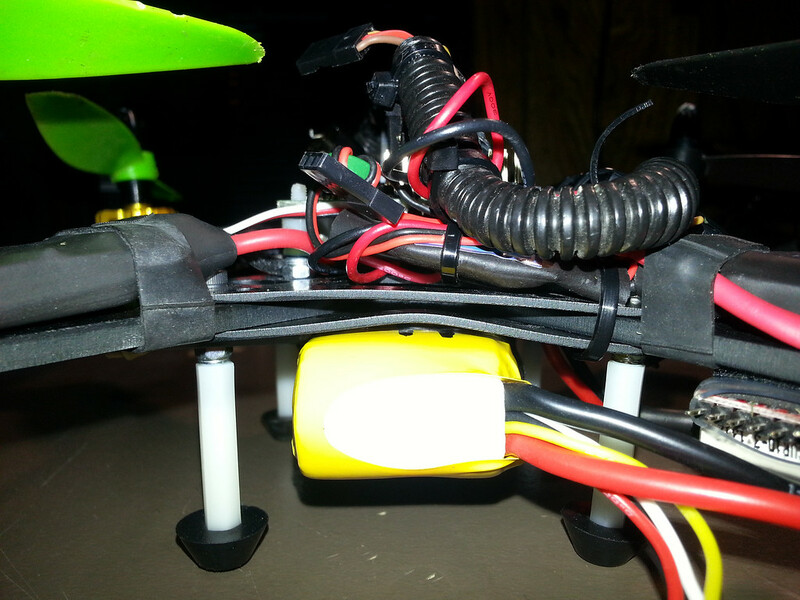 I do not like using zip ties to mount the ESCs, I just dont like the hard plastic tie against the electronics, plus they tend to slide around alot. I use “ranger bands” which is just a fancy name for pieces of bicycle innertube that is cut into rubber bands. They are much stronger than a regular rubber band and its nice that they are black. 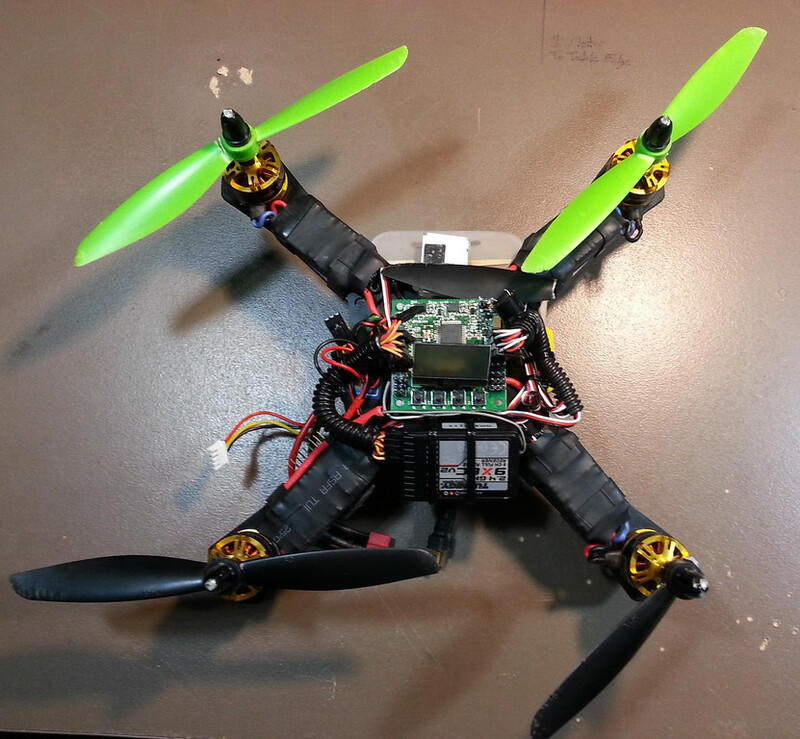 They hold the ESCs on very well and prevent them from sliding. 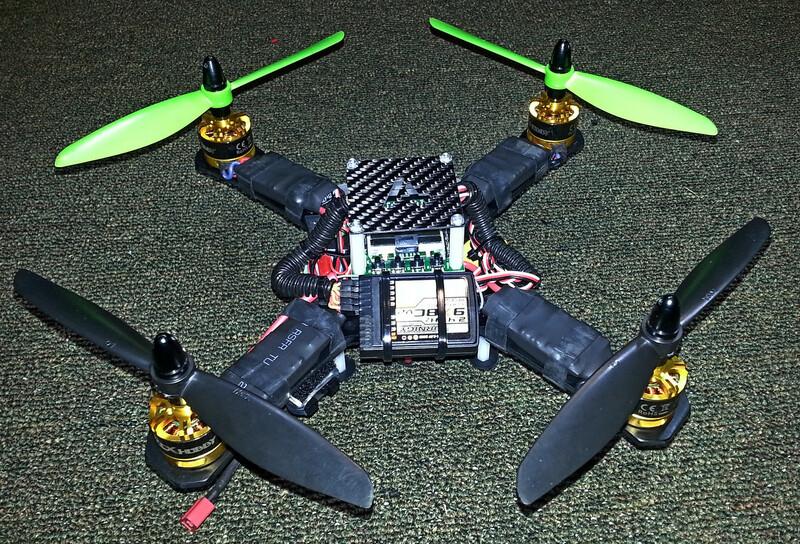 This quad is a powerhouse. I am a beginner pilot and this can be quite the hand full. It has about a 3:1 thrust to weight ratio. I had about 4 days of flying with this quad and then decided to try doing my first flips. I did 5 or 6 flips and was pretty proud of myself and very excited… until I over rotated a backflip and crashed the quad upside down HARD onto my cement driveway. It suffered a large amount of damage, shattered the top flight controller cover, busted the flight controller, bent all four motor shafts, broke 2 props, bent all four arms and the center plates of the frame. The good news is that once I had it all apart, I simply pounded the frame pieces back to flat and it will be perfect again. Most any other frame would have simply broke and not been reusable. Waiting on some parts now to get it repaired and back in the sky, I cant wait. Here is a video of my crash. Here are some photos of the damage after the crash.